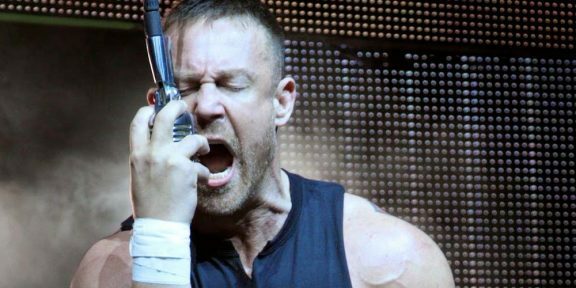 During a indy show in the United Kingdom for Insane Championship Wrestling, former TNA champ Mr. Anderson told fans that he doesn’t work for TNA anymore. “I don’t work for TNA anymore so…I agree with you,” Anderson told the fans. “F**k TNA,” he said to a major ovation from the crowd. Anderson has not been seen on TNA television for a while but his departure was never acknowledged by TNA. He is still part of the TNA roster on the ImpactWrestling.com website and was not moved to the alumni section. He joined TNA in January 2010 after he was released from WWE in late 2009. During his five year TNA career he won the TNA World title twice.